Blacksn0w has been updated by msft.guy to unlock iPhone OS 4.0 (iOS 4.0). The baseband needs to be preserved and can only be done if you’ve used PwnageTool to jailbreak. It is very buggy and should not be used by newbies. There is no Cydia installer and it has to be manually uploaded to iPhone and executed. Also, the unlock is tethered, which means you’ll have to re-execute blacksn0w if you reboot. Jailbreak your iphone 3GS using PwnageTool using the instructions posted here. Download blacksn0w patched from here. Extract the package and upload it to your iPhone via SSH, SFTP, iPhone Explorer or DiskAid. Execute blacksn0w.sh via mobile terminal and wait for it to finish. 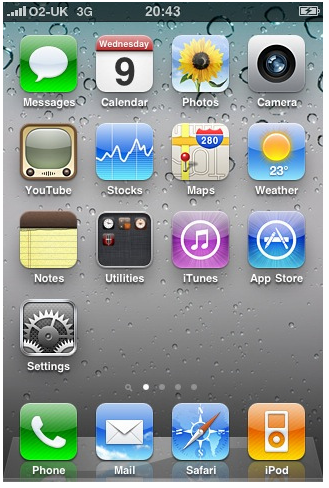 You’ll now have iPhone 3GS 4.0 fully unlocked. Remember the release is still a hack and newbie users should wait for the official releases.